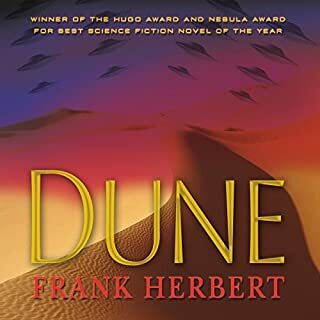 Frank Herbert's Dune ended with Paul Muad'Dib in control of the planet Dune. 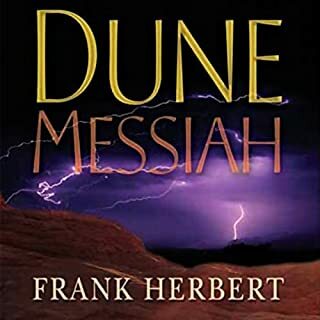 Herbert's next Dune book, Dune Messiah, picked up the story several years later, after Paul's armies had conquered the galaxy. 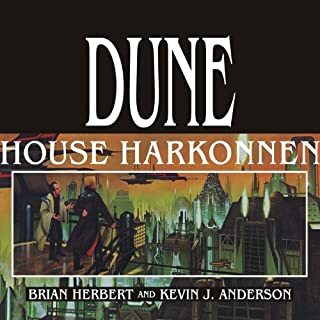 But what happened between Dune and Dune Messiah? How did Paul create his empire and become the Messiah? 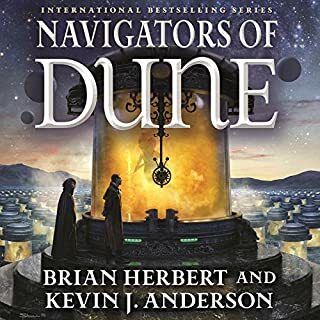 Following in the footsteps of Frank Herbert, New York Times best-selling authors Brian Herbert and Kevin J. Anderson are answering these questions in Paul of Dune. The Muad'Dib's jihad is in full swing. His warrior legions march from victory to victory. But beneath the joy of victory there are dangerous undercurrents. Paul, like nearly every great conqueror, has enemies - those who would betray him to steal the awesome power he commands. And Paul himself begins to have doubts: Is the jihad getting out of his control? Has he created anarchy? Has he been betrayed by those he loves and trusts the most? And most of all, he wonders, "Am I going mad?" Great book. jumps back and fourth between the early life of Paul Atredies and the time directly after the events of the original book. Narrator Scott Brick kills it as always. 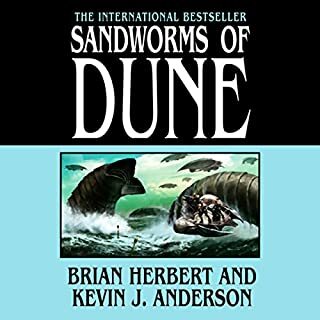 Decently written but unremarkable Dune rehash, meant to pick up where Dune left off, that never manages to engage. No further insights into the vividly drawn characters from Dune, in fact they all seem rather sterile. Paul & company are disenchanted with the direction things have taken, and you will be too. 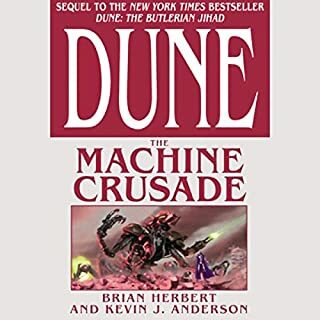 If you're a Dune junkie, you may want to read this. Otherwise, probably wise to skip. 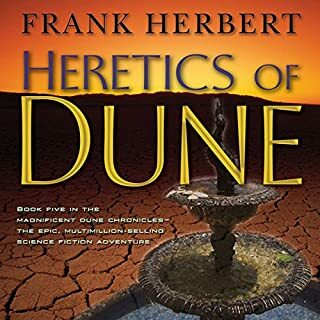 This will get slammed by some because it's not Frank Herbert, well guess what? Frank is long gone and there was only one of him. 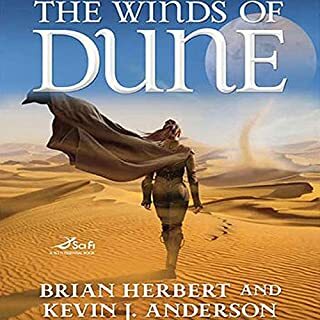 Brian and Kevin are their own writers and they carry on the Dune experience in their own very exciting fashion, I really like it because while reflecting Franks original concept they really add some great ideas into the original story line. 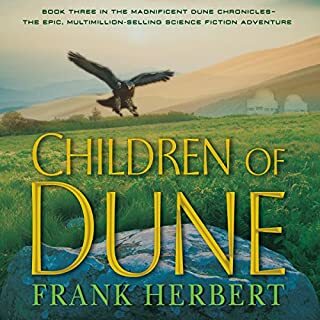 So from some of the purest I think there will be alot of gripes but for the rest of us we shall just enjoy a great book that carries on the amazing world of DUNE! 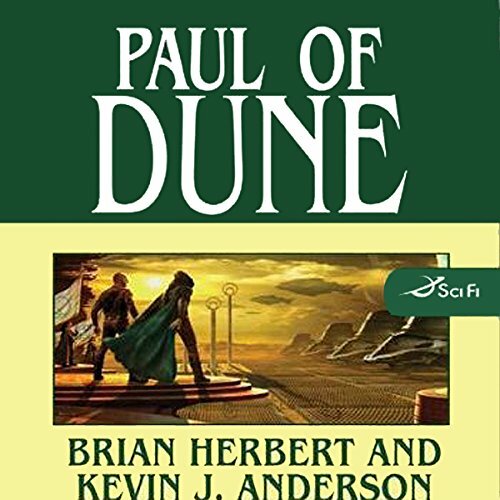 A significant portion of this book where back stories of young Paul usually consisting of events that occurred prior to Dune. As others have said there is very little that adds to the story that skipping this book will make you miss. 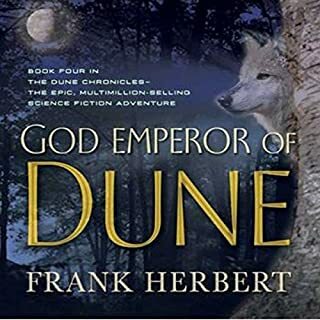 This book was written as an insert between Dune and Dune Messiah and it is clear in that respect. 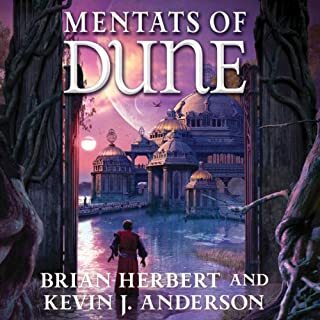 I think of this book as Dune 1.5 if Dune Messiah is Dune 2. I see this book as a summer extension of a TV series. 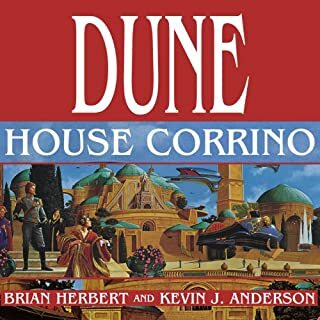 Missing this book will not cause those who follow the real seasons (Dune) and (Dune Messiah) will miss. 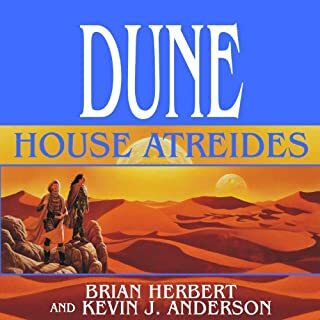 A strong, well-paced story that leaps back and forth provides a deeply and richly layered history of what made Paul Atreides the Kwisatz Haderach and a flawed, even tormented, but ultimately decisive emperor of the known galaxy. 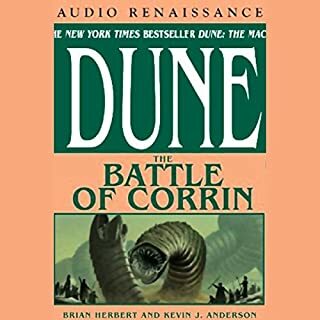 It took me two tries to start listening to this book - I just couldn't stand the religious zealots...then it got good - I really liked the intricate story around the Fenrings and bitterness of Shaddam. 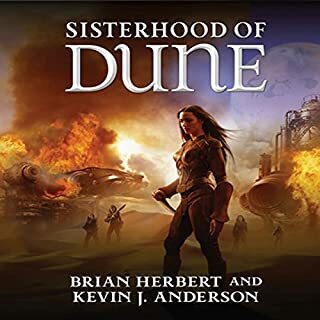 I have been a fan of the Dune universe for a very long time and I really enjoy the expanded universe that has been woven with the prequels and now this interstitial tale - and it looks like more to come. I think this story was needed - and it helped to make sense of the jump from the noble son of a duke to a messiah for which a jihad is fought. Had some problems at first with the 2nd and 3rd parts as my bookmarks on the Zune (kept showing me Chapter 1) and my machine was not holding my bookmark when I shut the book off and had to fast forward to my position everytime I restarted. 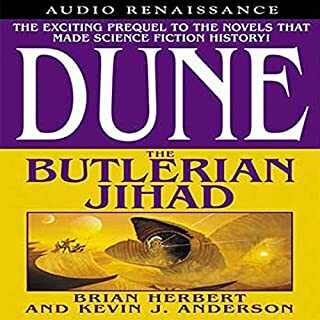 This book is excellent in that it tells of the events in detail to set you up for Dune Messiah and the rise and fall of Paul M'uab dib. All the problems and challenges he face as the new emperor of the known universe. I have to say I really didn't like Paul in this book but it was so exciting to listen to!!! I foolishly keep hoping that these guys will improve and pay proper homage to Frank's masterpiece. But again I am sorely dissapointed. I don't understand how you can take characters that we have come to love and them them so unloveable. 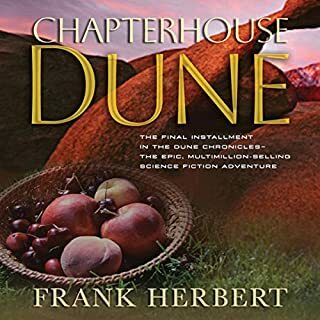 If you love Frank Herbert, don't bother with this. It's like a filler episode of your favorite TV show. 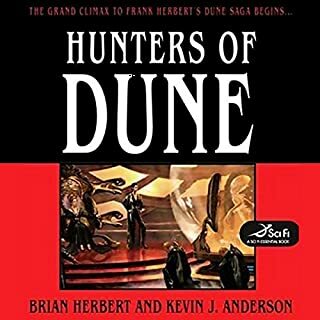 Only get this one if you're a Dune junky and want to fill out your collection. otherwise you can honestly skip this one. I say possibly only because I couldn’t bother to finish Winds Of Dune. I just really hate it when someone decides to retcon another authors work, even when your father is that author.